From the early schoolboy days, the arms seem to be one part of the body in which everyone takes pride. As a boy we all can recall the enthusiasm with which we rolled up our sleeves to show the lump on our upper arm. When I was a boy, the one who had the biggest biceps was the boy to command the greatest respect. No thought was given to any other muscle of the arm, but the whole attention was centered of the little lump that formed when the fist was brought to the shoulder. 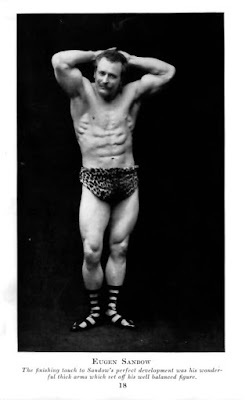 I also recall what interest and admiration was aroused in me when I went to the circus and saw the strong man there break chains that were wrapped around his arms. My admiration was not tampered with, but I discovered in later years, that the chains had been tampered with. How discouraged I felt upon my return home when I beheld my own skinny arms in the mirror. The pair of arms that I then owned, measured but 9 1/2 inches. I remember later how envious I was of a husky chap, while attending high school, whose arm measured, when flexed, 14 inches. My own arm measured about 12 1/2 inches then. I think, however, that by envying as I did, it had considerable effect upon my progress, for it made me work harder to reach my goal. And it wasn't very many years before the arms I had envied were soon much smaller and less developed than my own. I realized then that the biceps was only one of the muscles of the arm, and that by proper application of exercises, the girth of my arms could be increased rapidly. I learned that the triceps, the muscles behind or underneath the arms, constituted the bigger bulk of the upper arms and, therefore, realized that special attention must be paid to these muscles. The average individual (unless he is a thorough student of anatomy and physical culture) sadly neglects the triceps, which, when properly developed, give a pleasing curve to the back of the arms. These muscles are developed by constantly pushing, when it be downward, sideways, or upwards. You must push against a strong resistance of some kind in order to develop these muscles to their maximum. The Triceps is Perhaps the Most Important Muscle in the Upper Arm The reason I am beginning this chapter on the arms with the triceps muscles is that this is the strongest and largest and most important muscle of the upper arm. It is called triceps because it has three heads. Its origin is from the border of the scapula or shoulder blade to the posterior or back surface of the humerus bone of the upper arm. Its insertion is in the olecranon process of the ulna, one of the two bones in the forearm. Although the origin and insertion of the muscles are the same in everyone, still the triceps differ in appearance, just as much as other muscles are differently developed in various individuals. 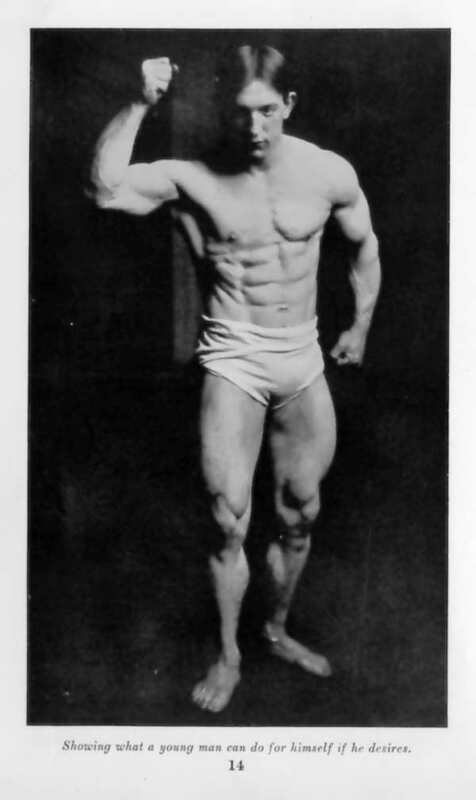 The variations in appearance of this muscle depend somewhat upon the size of the bones, in the first place, and then again, upon the different exercises that each student uses toward development. Some people have what be termed a "flat" triceps, while others have a "round" triceps. The difference is that a "flat" triceps has the internal head more highly developed than the external head, thereby giving the arms a wide appearance and great fullness in the back, when viewed from the side. When the external head is more highly developed than the internal head, the arm will not look as wide when viewed from the side, but will look thicker when viewed from the front or from the back. It is very difficult to set a standard as to the proper degrees of development of the internal head and of the external head, but in my opinion, considerable attention should be paid to both heads of this muscle, for when both are highly developed the arm will have a width as well as thickness. When the hands are placed on the hips, you will undoubtedly notice in many athletes and strong men the curve of the upper arm will vary in appearance. Some athletes have a very pronounced curve, while in others, the arm is smoother. This is caused by the different degrees of the external head of the triceps development. I have also noticed in a number of cases, the triceps development varies greatly where the internal head breaks or protrudes up on the arm. I have seen remarkably developed athletes whose internal head of the triceps when flexed began slightly above the back of the elbow and gradually slanted outwards, until it reached its bulk about midway on the upper arm. Then I have seen equally well developed athletes whose triceps were practically straight from the back of the elbow until they reached the middle of the upper arm. Then the internal head gave a sudden break, or raise, until the muscle knotted up to its bulk a little above the middle of the upper arm. Judging from the ability and strength of these two different types of athletes, I have found that when the triceps does not make so abrupt a break, but when the internal head extends downward with a pleasing slant toward the back of the elbow, the man has much more strength and endurance than when the internal head breaks sharply above the middle of the upper arm. Weight lifters, gymnasts, and apparatus workers, as a rule, have the internal head of the triceps longer than those who have developed this muscle by individual arm work. Therefore, it can readily be seen that it is to the best advantage of the student to work the muscles in groups, if he desires not of coordination, but strength as well. Tensing or resisting exercises are excellent for bringing out the internal heads of the triceps muscle. But if the muscle is developed purely by such methods, it will be good for boxing or display, but for nothing else, and when put to a test in any kind of competition for strength, it will be found wanting. When the internal head of the triceps is well developed, and when the arm is held at the height of the shoulder and stretched sideways, a full, pleasing curve will be seen in underneath the arm. The greater the internal triceps development, the rounder the muscle appears. If the student possesses muscles that are supple, by the slightest quiver of his hand and forearm he can cause the triceps to move back and forth while holding the arm in this position, for when the triceps muscle is relaxed, it should be exceedingly soft. The external head of the triceps is developed by pushing, especially in performing overhead work, such as lifting a dumb-bell one hand overhead, or pushing the hand overhead, while working against some artificial resistance. It also can be brought out to a marked degree by assisting the deltoid in raising the arm sideways, while working against a strong resistance. Hand balancing also is of great value to his external head. A highly developed external head of the triceps muscle will show a pronounced cord running from the external head downwards in the middle of the arm, towards the supinator longus muscle of the forearm. This part of the triceps can only be seen in highly developed arms, and arms where all superfluous flesh is lacking. I am obliged to call the reader's attention to Simon Javierto, who is undoubtedly a remarkable example of development in this muscle. This picture of his arm held straight will give you idea of a perfect triceps development. 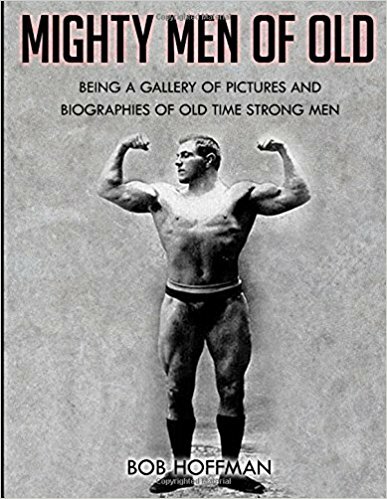 One of the largest triceps muscles I have ever seen, or felt, for that matter, was owned by George Hackenschmidt, formerly the world's champion wrestler. The internal head of his triceps was more powerfully developed than the external head, while the break or slant of the internal head of his triceps was over two inches in length. While taking into consideration the size of his upper arm when flexed, over 19 inches, there is little wonder at his remarkable triceps. Hand balancers almost always have triceps development equaled, that is, both heads of this muscle are harmoniously developed. If you will notice the back of their arms the next time you attend one of their performances, you will have a better conception of this important arm muscle. The muscle in front of the upper arm is a two-headed muscle, called the biceps. This muscle arises from a tuberosity of the scapula or shoulder blade and is inserted in the upper part of the radius bone of the forearm. The development in this muscle differs in various athletes. Sometimes the muscle has a long appearance, even when flexed, and in other cases, it has an egg-like appearance. Even though the biceps is the best-known muscle in the body, it very seldom attains its maximum development unless the student devotes special attention to its use. The length of the arm and the size of the bones also affect the appearance of this muscle, as they do other parts of the body. Nevertheless, the pupil can attain biceps that are not only huge in appearance, but strong as well. Any sort of curling exercise will develop the biceps, as also will chinning, rope-climbing, etc. The biceps should be exercised not only individually, but in coordination with other parts of the body as well, for if the student devotes individual attention to the biceps, to the exclusion of other muscles throughout the same exercise, his biceps will knot up, but they will not be of a strong character. Most gymnasts, weight lifters, and apparatus workers have very strong biceps, owing to the nature of the work they do, although the biceps development in many of these cases is not up to the standard. This simply shows that special attention must be devoted to this muscle, if the student desires bulk and height to the muscle. The biceps muscle varies considerably in formation on different individuals, as you no doubt have noticed when bathing or in gym work with other men, or even among your office or shop mates. Some men have a knotted, egg-shaped muscle, others have a knotted and exceedingly high biceps, which has a pointed effect at the top or belly, while others have biceps that do not know up, but are much longer in appearance. Long biceps undoubtedly have better contour when the arm is relaxed, but they are not as strong as biceps that know up into a huge pointed lump on the belly of this muscle. There is also another shape to the biceps muscle, which on a large, heavily-muscled arm has the appearance of a baseball, that is, round from the every point of view. This kind of a biceps muscle is much thicker as a rule than the pointed and long biceps, and is generally much stronger. Such a formation can be seen on weight lifters, ring artists, etc. The biceps that knot up in egg-shaped appearance usually are best for posing purposes and for muscular display. I have often noticed a common fault with the biceps among athletes. In a number of cases the lower head breaks or ends too soon, and does not extend as far downward toward the bend in the elbow as it should. This is caused by developing the belly of the biceps to a higher degree than the upper or lower parts of this muscle. Great care should be taken in exercising the biceps by starting the movement with the arm absolutely straight and stiff. The arm should be brought upward toward the shoulder, as high as it will go. If the student neglects the complete contractions and extensions of this muscle, and stops the movement the arm is straightened, he will develop the belly of the muscle to a greater degree, and also shorten the break in the lower part of the biceps. This, unfortunately, will give him a muscles that is not only inferior in appearance, but which will also be lacking considerably in competitive strength work. Another example of how this can be brought about is shown in the common chinning exercise. You hang from the bar with the hands and endeavor to pull yourself upward, until your chin touches the bar. While performing this exercise, if you do not lower yourself until your arms are absolutely straight each time, you will shorten the biceps muscle. 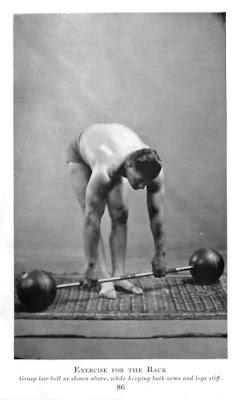 A very common fault among beginners, especially those who start their physical career with light three-or-five pound dumb-bell exercises, is to never make a complete extension while performing biceps work, especially when the dumb-bells are held in front of them. In my opinion, complete extensions and contractions are of more importance than the number of repetitions. However, I will take this up later, in another chapter. You should attach just as much importance to complete extensions of the triceps muscles as you do the biceps muscles, in order to secure the best results. If the student neglects this, he will fail to develop either the internal or external head of the triceps as thoroughly as he would if he extended his arm to his limit while performing each exercise. Whether you are dipping on the floor or lifting weights overhead, or pushing an object away from you, you are doing it for exercise and development. Therefore, make sure the arm is straightened to its limit during each count. It is almost impossible for you to pay too much attention to the upper arms, for it is practically impossible to exercise or move the upper arms without working the shoulder, chest, or back muscles. In my idea of standard development, it is hardly possible for an athlete to over-develop his arms. You see so many highly developed athletes whose legs are splendid and whose torso is remarkable, yet they lack the professional finish to their development, owing to the fact that their arms are one or two inches too small, in proportion to their other muscles. This can be clearly shown to the student of anatomy, if you observe carefully the various kinds of physiques on the bathing beaches or in gymnasiums. You very seldom see a professional boxer whose arms are proportionately developed, in harmony with his body; whereas wrestlers, as a rule, possess arms that are fairly well in proportion, although in most cases the arms are not as highly developed as they could be. Weight lifters as a rule, have large arms. 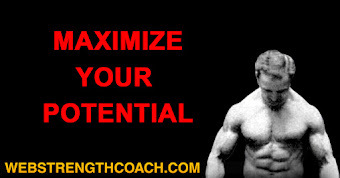 I am convinced that anyone can secure arms in proportion to his other muscles if he will only work to develop them. It is not necessary to become a wrestler. It is not even necessary to become a weight lifter as long as the student will exercise scientifically and work against a strong resistance, whether it be the weight of his body, or some artificial appliance. The main factor about arm development is that the student must do progressive work. He must increase the resistance more and more as his arms become larger and stronger, otherwise he will simply stand still. It is an easy matter to acquire a 14-inch flexed upper arm. It is quite difficult for the average-sized man to reach 15 inches, and it is even more difficult for him to attain 16 inches. However, inasmuch as small-boned men have exceeded 16-inch upper arms, time and time again, it shows it can be done. The writer has proof of this, not only upon his own person, but upon thousands of others whom he has trained, and who have reached their maximum proportions. When attempting arm development, it is folly for anyone to perform endless repetitions of movements, if he desires muscular tissue. For continuous light movements, they will give the pupil endurance, will never get him anywhere, as far as bulk and strength are concerned. The arms, in my opinion, should be tired in less than fifteen repetitions. If anyone can perform an exercise more than fifteen times, that exercise is too light for him. He should immediately adopt heavier progressive work. It is essential, therefore, that the student employ artificial means for further arm development. 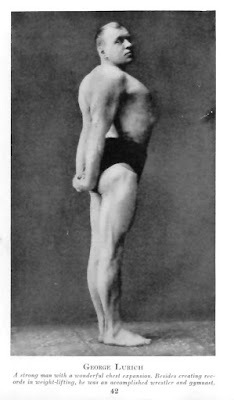 Even in the ordinary chinning and dipping exercises, if the student can perform these more than fifteen counts, he must tie, or pick up weights with his feet, or else have an adjustable elastic resistance that could be more and more progressive, if he expects to reach the maximum in the muscles he is using. Vigorous attention to the biceps not only hardens them, but it brings a greater supply of blood to his muscle, thereby causing it to swell upon completion of the exercise. The student will soon learn that by swelling the muscles up to their maximum size within fifteen counts he will accomplish better results than by working against a resistance light enough for a school boy. It is this constant swelling up of the muscles that increases their size. Therefore, if the pupil will give his triceps and biceps vigorous work, tiring both of them thoroughly, until they are fairly aching, he will discover his arms will be from 1/4 to 1/2 inch larger when flexed than they were before, depending greatly, of course, upon his development. Would You Like to Gain an Inch Next Month ? The student who is desirous of gaining around his upper arm during the next month will find that this is not difficult by scientifically applied exercise to his biceps and triceps. All he need do is to exercise these muscles sufficiently every day to swell them to their limit. If the arm swells up 1/2 inch after exercising, it does not stay that way the rest of the day, but diminishes at least 15/32 of an inch, retaining 1/32 of an increase. The first two weeks the student will undoubtedly gain 5/8 of an inch, whereas the next two weeks he should expect to gain more than 3/8 of an inch. The pupil will find that he will make more progress the first six months of the year than he will for the last six months. For as the muscles become hardened and more developed, the will find it more difficult to increase their size. This simply verifies what I said before; that it is not so easy to attain a 16-inch arm. It means patience and hard work. In weight lifting, a pupil can very easily in a very short space of time and without any previous experience, lift 100 pounds overhead with two hands, but he cannot expect to lift 200 pounds with two hands during the next equal period. 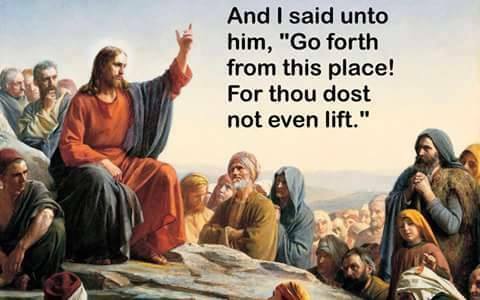 If he lifts 125 pounds he will be very fortunate. The same thing applies to muscles. A beginner who has never had any experience with training at all, and whose arm measures, for example, 12 inches when flexed, can attain, within three months, a 13 1/2 inch arm. During the next three month his arm will measure 14 to 14 1/2 inches. But during the next six months he will be very fortunate if his arm increases to 15 inches in size. The larger the upper arm becomes, the shorter it appears. Therefore, an athlete whose upper arm measures 15 1/2 to 16 1/2 inches, providing he is of average height, generally gives the impression that his arms are short, when, in reality, his reach is just as long as it was when he started. This, as a rule, equals the height. A student of average height who endeavors to develop his arms by light calisthenics work, can never expect to attain more that a 14 1/2-inch upper arm when flexed. Whereas the student who adopts progressive work, making the resistance stronger and stronger as he progresses, will not only save considerable time and energy, but he will develop muscles that are both huge in appearance and will be equal to any test of strength. The individual with large bones again has the advantage over his small-boned competitor. A large-boned man develops his upper arms, that are not only stronger than his small-boned competitor, but arms that are more massive in appearance. On the other hand, the small-boned man may develop much finer looking arms; arms more suitable for photographing, owing to his small joints, than a large-boned man. The small-boned individual, however, should not feel discouraged, for a 16-inch upper arm on a small-boned man looks much larger than a 17-inch arm on a big-boned individual, assuming, of course, that the individual has reached his maximum development. Size of the arm counts little if the development is not there, and many fleshy people who have large arms do not present the appearance of a thinner type individual whose arms are well-trained. I have noticed in a number of cases that a well-developed 14-inch or 14 1/12 inch upper arm looks a great deal larger than a 15 1/2 inch upper arm, if the larger arm is not fully developed, even though both individuals are of the same height. The forearm has considerable to do with the appearance of the upper arm, especially if the supinator longus muscle is thoroughly developed. The supinator longus muscles covering the upper and outer part of the forearm, pleasingly blend with the biceps, and if the pronator muscles on the inside of the forearm are roundly developed, it will set off the upper arm considerably. It is a difficult thing to develop the upper arm without developing the forearm, although if the student desires exceptionally developed forearms, he must devote special attention to them. I have seen athletes who are an exception to this rule. One strong man, in particular, whom I know, has remarkable upper arms, measuring over 16 inches, whereas his forearm measured less than 12 inches. There is a reverse to this. I have seen athletes with remarkable forearms whose upper arms seemed small in comparison, although they were above average measurement. This is commonly noticed on individuals whose bones are unusually large. The small-boned man, as a rule, has small forearms, thereby exaggerating his upper arms and making them look even larger than they really are. It is exceedingly difficult to set a standard for the forearm and the upper arm development as to ideal measurements, but my idea as to pleasing proportions is a 16 inch upper arm and a 12 1/2 forearm; the forearm measurement, of course, being taken with arms straight. In order to find out the largest measurement of the forearm, the arm should be almost fully bent at the elbow, the fist clenched and the wrist turned down, and the tape passed around the largest part. A well-developed forearm will show a difference of from two to three inches from a relaxed state in this manner. A well-developed forearm looks even more developed when the muscles of the wrist are pronounced. The student will find that the muscles above the wrist will increase the measurement of the wrist slightly when thoroughly developed, especially the extensor muscle which covers it. Bending and turning the wrist, either with a weight or against a strong resistance is undoubtedly the best possible means for the development of the forearm. The repetitions of this group of muscles should not exceed fifteen or twenty counts. If the student can perform a greater number than this, he should increase the weight or resistance, so as to bring about maximum development in the shortest possible time. 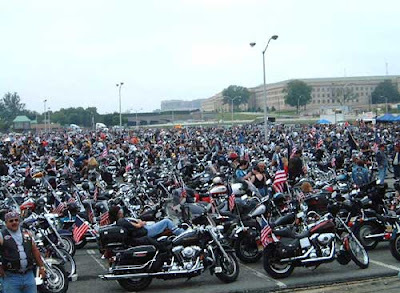 Rolling Thunder is an annual motorcycle rally that is held in Washington, DC during the Memorial Day weekend. About 400,000 veterans will roar across Washington, DC on their motorcycles as a tribute to American war heroes. Some time ago a husky-looking chap came to me for physical examination and advice. I had the young fellow strip and put him through a few moderately severe exercises, to determine what condition he was in. 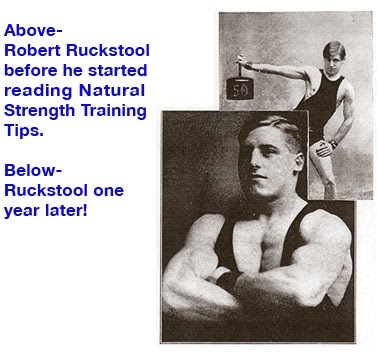 I found he was very well qualified in most of the strength tests, with the exception of the "push up" and certain other exercises that required superior development of the deltoids. His arms, chest and legs were very well-developed, but it was evident to myself and my assistants that this man hadn't done any really conscientious work on his shoulders. I pointed out his defect, and he put himself under my care, with the purpose of taking some special exercises for the muscles that were lacking in development. I took careful measurements, and also several photographs - front, back and side views - and filed them away for subsequent comparison. The young fellow worked faithfully under my direction for several months. At the expiration of that time, he came back to see me and report progress. You wouldn't believe that such a change could be wrought in a chap who was originally a pretty husky, presentable looking individual. For the improvement was simply wonderful. He had muscles that weren't apparent at all when I first examined him. His tests showed about 58 percent increase in deltoid strength and endurance, and he was a perfect picture of manhood. So, I say that the neglect of his one muscle often shows a lack of condition in an athlete, and this one muscle is the deltoid or shoulder muscle. When the deltoids are full, round , thick and bulging, it signifies the athlete is in splendid shape. But when they become flat and flabby, and the back becomes the broadest part of the body, then it is significant that the athlete is far from being in good condition. The deltoid or shoulder muscles are most prominent between the ages of twenty and thirty. It is then that the cords and inner fibers show themselves to best advantage. But as a rule, after thirty years of age, a man's shoulders, providing he keeps in good condition, become somewhat thicker and less prominent. After the age of forty, the shoulders can never again regain the same contour. Of course, if the individual has done but little training he can make wonderful gains after the age of forty, but I am referring in this paragraph to the already trained athlete who values his measurements and muscle contour. One inch of muscle on the shoulder makes a vast difference in appearance in breadth. I want to make this point very emphatic, as I wish to impress upon young men, particularly, the dangers of delay and procrastination, if they ever want to really build themselves up. Now, in order to develop the shoulders to a maximum degree, the anterior and the posterior deltoids must be exercised in cooperation with the external or side portion. The action of the deltoid muscle is to lift the arm from the side and bring it upwards until it is parallel with the ground. Beyond this point further action is assisted by the trapezius muscle. It is practically impossible for anyone to exercise the deltoid or shoulder muscle without getting the trapezius, back and arm muscles to work as well. Well-developed deltoids are very pleasing to look at and set off the athlete off considerably. Boxing, bag-punching or any form of exercise that has a tendency to swing the shoulders, will develop the deltoid muscles. However, direct application can be had by systematic exercising including the raising of the arms forward, sideways or backwards with a resistance to work against. In this manner much heavier shoulder muscles can be developed than the mere swinging of the arms, as in boxing or bag-punching, and this was exactly what I developed in the young man of whom I spoke earlier in this chapter. Years ago when men's styles featured broad shoulders, the weak individual depended entirely upon the tailor to make him broader. However, present day styles do not contemplate padding the shoulders. Therefore, to possess an athletic appearance, everyone must devote special training to the deltoid muscles, in order to broaden the shoulders and add to his general appearance. The size of the bones again plays an important part in the general width of anyone's shoulders. The small-framed individual cannot expect to become as broad-shouldered as one who possesses a large framework, but, nevertheless, the small-boned man can broaden his shoulders a few inches by devoting attention to the deltoid muscle. 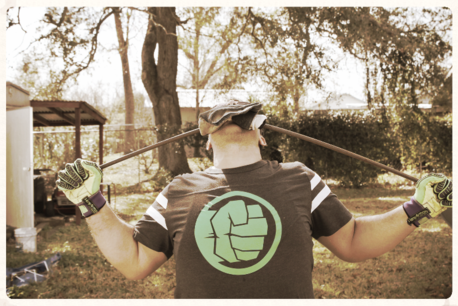 As a rule, horizontal bar and ring performers have exceptionally developed shoulder muscles. The same can be found in weight lifters. However, anyone can strengthen and develop the deltoid muscle to the maximum by scientifically and systematically applied exercise. The shoulder muscles, as a rule, become tired quicker than any other part of your body when doing competitive work. This can be clearly illustrated when swimming. If your wind is in excellent condition, you will find the shoulders will usually be first affected by the continual efforts. There is one other matter of which I wish to speak, and which I consider most important, especially to those wish to possess a really symmetrical development. I urgent recommend a great deal of attention to the posterior deltoid, as well as the external fibers. If too much effort is given to the anterior deltoid, it will have a tendency to make one appear somewhat round-shouldered. I have seen many an otherwise splendid physique marred by the failure to observe this little point. Round shoulders may rightly be considered one of the worst handicaps to anyone who aspires to physical perfection. And they are quite inexcusable. Such a man is downright lazy or indifferent about his appearance. One of the finest exercises for overcoming round shoulders is to bring the arms from a front position parallel with the floor to a position as far back as they are capable of going, keeping them parallel at all times, and working against a powerful resistance. Then, again, the shoulders should be brought back as far as possible after the completion of each exercise period, in order to shorten the muscles of the back. This will offset the tendency of the shoulders to drop forward after you have given them vigorous exercise. A person whose shoulders measure more than 18 inches can be considered quite broad. I have know in some cases, however, of remarkably developed athletes, where the shoulders measured more than 24 inches across. Perhaps you may not know the proper way of measuring the shoulders. I have yet to find many who do. The simple method of measuring the shoulders is by having someone place two sticks, rods or rulers at the end of each shoulder, parallel with each other. Then the measurement should be taken in between these sticks. If you attempt to measure your shoulders by placing the tape across the front or behind the back, you will not get an accurate measurement. Instead, you may find yourself one or two inches broader than you really are. The larger the deltoids become the better they set off the arms. The best way to develop these muscles is to raise the arms forward, sideways, and backwards, to the height of the shoulder, all the while working against a resistance. Whether this resistance be in the form of adjustable dumb-bell, elastic exerciser, or other apparatus, the resistance should be progressive, and increased each week as the shoulders become stronger. In order to obtain the quickest results, the repetitions should not exceed from ten to fifteen counts. If the student exercises so vigorously as to make it impossible for him to do more than five or six repetitions, he is using up his strength too rapidly and retards his development. I have found from experience that the best results can be obtained for the shoulders by carrying the repetitions to over ten and less than fifteen counts. However, if the muscles do not begin to ache a little at the fifteenth repetition, the pupil should work against a stronger resistance. If you perform light work, and it takes, for example, thirty-five to fifty repetitions before the deltoids reach their aching point, you can tell the work is too light for you. Of course, some progress can be made, so far as endurance and development is concerned, by performing these lighter movements. But no great degree of deltoid development can be reached unless you work against resistance strong enough to tire the muscles within fifteen repetitions. You must progress each week by adding more resistance to the work, providing , of course, it becomes easier to do fifteen counts in the exercise than it did the previous week. I am not an advocate of resistance movements, neither am I against them. 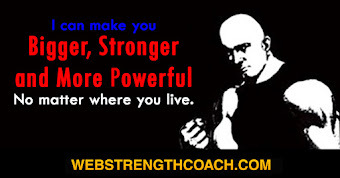 Resistance movements are all right for bringing the muscles out for posing or photographic purposes, but they are inferior to movements where artificial resistance is used, because of the fact that while performing resistance work, the pupil is apt to resume the resistance with the mind wandering, and also by giving too much attention to his feelings. There is also a tendency to discover easier methods of performing the exercises, and such discoveries are fatal to physical progress. 1. Stand erect; raise the arms with a weight or exerciser forward until they are parallel with the floor and at the height of the shoulder. Now lower and repeat. This will develop the anterior deltoid. If the palm of the hand is kept facing downward, the supinator muscles of the forearm are also benefited considerably. 2. Raise the arm sideways, until the arm is parallel with the floor, and at the height of the shoulders; keep palm down. This movement will develop the external head of the deltoid and broaden the shoulders, at he same time benefiting the external head of the triceps. 3.. Raise the arm backwards as far as possible. This movement is for the posterior deltoid and the upper muscles as well. If the arm is kept rigid while performing this movement, the internal head of the triceps receives considerable work. By paying attention to the anterior and the posterior parts of the deltoid muscle, the should will become thicker and will have more depth. It is not uncommon to see individuals with wide shoulders whose external deltoids are remarkably developed, but who are sadly lacking in the anterior and posterior sections of this muscle, thus giving them a slim appearance. When the deltoid is properly developed, there are a series of fibers or digitations faintly showing at the external portion. These fibers give an excellent appearance to the deltoids under proper lighting. With the posterior deltoid properly developed, the fleshy bumps will help greatly to make the back straight an set off the roundness of the back. If you are really interested in bringing out all the fine points in your physique I strongly urge you to pay a great deal of attention to the development of your deltoids, for they certainly contribute in a great way toward making up the ideal figure of a man. And this is what we all want to do. A short time ago I was talking on physical development to a well-known athlete. This man had broken into the game as a hammer-thrower and shot-putter during is college career, but subsequently wound up as one the best mat artists in the country. 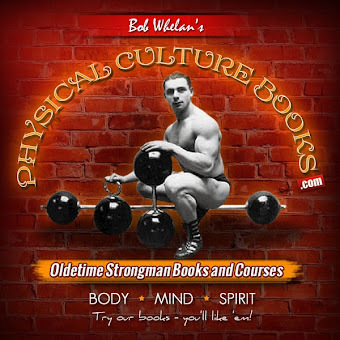 He had a magnificent development, which I admired very much, so we got to discussing the various things that go to build up a powerful physique that is "easy to look at." In the course of the conversation this man said to me: "you can talk as you please, but I as an athlete judge a man's development more by the size and contour of his neck than by any other way. For what a man is, and what he has done, shows up in his neck, and in the full, firm contour of these muscles just as thought he had drawn a map for you." What my friend said is true, for the neck is one part of the body that responds very rapidly to exercise, and a well-developed neck is not only pleasing to the eye, but helps greatly to convey a better blood supply to the brain. The, too, it has its advantages in the event of a fall, for a strong neck is not as apt to break as a weak one. In order to develop the neck to pleasing proportions, a great variety of movements must be gone through, for much finer results can be accomplished by varying the movements than if the student simply performed one or two exercises. The wearing of tight collars retards neck development. Collars should be worn comfortably, not too loose so as to look untidy. Soft collars are much better to wear than stiffed starched collars, for they allow greater freedom of movement. If you observe people's necks, you will see hundreds of different sizes and shapes before you have looked very far. Some are so fleshy in the back that a great many wrinkles can be seen. Others are exceedingly fleshy in front, causing one to two extra chins. Necks that are stringy and appear to have two ugly cords running towards the top of the head in the back are not uncommon. Prominent "Adam's apples" and scrawny, cordy appearances are often seen in the front of the neck. I have always contended that there is absolutely no excuse for anyone to have a scrawny or ungainly looking neck, when a few minutes devoted every day to the care and welfare of this part of the body would not only make the pupil feel better, but would change his appearance completely. Double chins can easily be removed with properly applied exercise. It is not necessary for anyone to develop his neck to the huge proportions of a wrestler's, unless he so desires, but if properly applied exercises are devoted especially to the trapezius muscle in the back and also to the sterno-cleido-mastoid at the sides of the neck, symmetrical lines will make their appearance in a very short space of time. When exercising the neck, care should be taken not to apply the resistance too vigorously, for sometimes the muscles are over-strained and a kink in the neck is a very unpleasant feeling and lasts for several days. Begin all neck movements slowly. Do not perform any of them in a jerky manner, and be careful to avoid strain. The resistance applied behind the head for development of the head in the back should be done in an even steady manner. The first movement should be much lighter than the second, and second movement lighter than the third, until about the fifteenth or twentieth count, when the strongest pressure should be applied. By devoting special attention to the back of the neck, you straighten the appearance of your spine and eliminate the hollows between the occipital bone in the back of the head and upper dorsal vertebrae, which gives the appearance of round shoulders. By having the neck developed straight in the back, the appearance of the student will be greatly improved, owing to his erect, military posture. By paying attention also to the sterno-cleido-mastoid muscles, at the sides of the neck it will help square out the neck and give the straight, athletic lines so commonly noticed in anyone who does a great amount of athletic work. Modern fashions in collars tend to hide the defects in people's necks. Therefore, the time to look at the neck critically, is when people are in bathing suits. Then the real truth comes out. For instance, a neck may look fairly pleasing to the eye with a high collar on, but when the high collar comes off, the neck will be found very defective in the lower part, owing to the poor development of the trapezius muscle. Head-circling, turning and twisting, and bending from side to side are common movements for the neck and this light work will help greatly, when combined with scientifically applied neck movements, towards a symmetrical development. Performing the wrestler's bridge is also excellent for strength purposes, and will help greatly towards further development. The size and shape of the head is an important factor in neck development, as I have said before. A person with a narrow face and a long, narrow head cannot and must not expect to obtain the same size neck as a person whose features are of a bull-dog type; that is, square or round. However, such people need not be discouraged, for their necks can be developed from 15 1/2 to 16 1/2 inches, depending, of course, upon the height of the individual. A person who has a large head and large features naturally requires a much larger neck to harmonize with the rest of his body than his narrow-type friend. Such individuals can acquire necks from 16 1/2 to 18 1/2 inches, depending again upon the height of the individual. I have always been thankful that I have developed a strong, muscular neck, for I remember once while bathing in a swimming pool at Long Beach, California, I took a high dive, without any thought as to the depth of the water, and hit the bottom with such force that my arm was thrown against my shoulder and my head hit the bottom so hard and at such an angle, that not only did I have a lump on top of my head the size of a small apple, but my neck and shoulder pained me for many days thereafter. I am positive that if my neck had been weak at this time, it would have snapped. In fact, as every reader of these pages knows, it is not at all uncommon to hear of divers breaking their necks when hitting bottom. To a person who is desirous of increasing the size of the neck, I suggest that he do not stock up too freely with shirts and collars, for you will find that every week or two you will have to get larger sizes. However, there is no need to fear developing your neck to enormous or ungainly proportions. For when your neck is large enough to suit yourself, all you have to do is stop development work, and just do light work, such as twisting or turning the neck. This will keep the neck in shape and it will not get any larger. One of the first places which will tell the condition of an athlete is the back of his neck. When an athlete starts slipping backwards it is usually accompanied by the thinning out ot the posterior part of the neck. 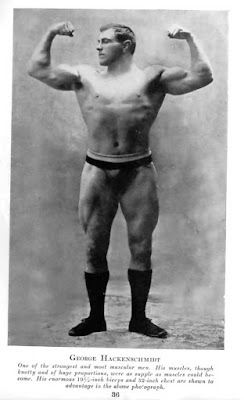 One of the largest necks I have ever seen on any well-trained athlete was that of George Hackenschmidt, the former world's champion wrestler. 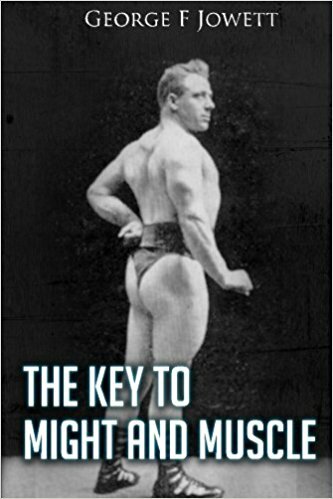 Hackenschmidt weighed about 215 pounds, stripped, at the time, with an exceptionally large frame and head. His neck measured 22 1/2 inches. 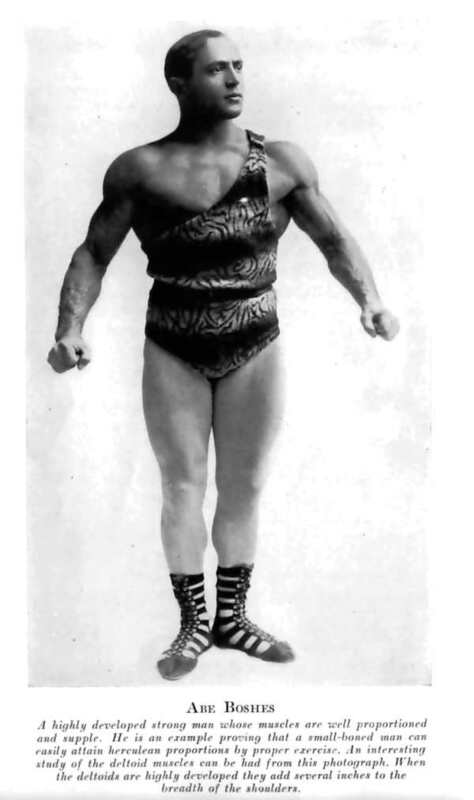 Stanislaus Zbyszko, the noted wrestler, also has a neck that measures well over 20 inches. 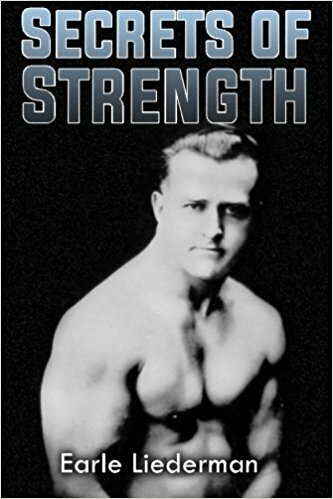 However, one of the most remarkable tests of strength I have ever seen put to the neck was when Joseph Vitole, a small, 150-pound athlete, lifted from the floor 550 pounds with his teeth alone. Think of the remarkable bull-dog grip this miniature Hercules possessed at he time of this lift. I particularly noticed the great strain and the manner in which the muscles of the neck bulged outward at the time I saw him make this world's record-breaking lift. Vitole has a neck measuring about 17 inches, but the muscles are of exceptionally fine quality. Now, here's a little secret. If you want to add to the appearance of your neck, do not permit the hair to grow too far down the back, but always keep the hair neatly trimmed. This will not only give you a cleaner appearance from the rear, but it will enable your neck muscles to present their best appearance. I also want to tell you that by properly applied exercises to the front of the neck, a prominent "Adam's apple" can be made to appear smaller, and all excess flesh under the chin can be eliminated. To my mind nothing is more pleasing to the eye than to see a well-set jaw and chin, backed up by a well-developed neck. You surely know that the way you carry your head makes a wonderful difference in your posture and in your personality. So do not allow your head to drop forward, but endeavor to keep it erect at all times. Remember, that constantly forcing the chin downward will cause wrinkles in the front of the neck, whereas, on the contrary, by constantly holding the chin high in the air, you will have a tendency to cause wrinkles in the back of the neck. My best advice is to study yourself in the mirror, not for the sake of vanity, but for the purpose of looking for improvement and benefiting your appearance. I may say right here that one reason most singers develop two or more chins is that they are constantly exercising the neck muscles with the lower jaw abnormally relaxed. It's difficult for them to avoid this, for they really have to relax these jaw muscles, while at the same time they are putting a certain amount of tension on the neck muscles. However, you or any other athlete can avoid this, if you will only bear the following instructions in mind. l. Clasp your hands behind the head while sitting or standing erect. Now pull the head forward, strongly resisting at the same time with the muscles of the neck. Make as complete a movement as possible, beginning from an erect posture, and pull the head forward as far as the muscles will allow it to go. This will strengthen and develop the trapezius muscle and give straightness to the back of the neck. Variations on this exercise can be made by first holding the chin in, and again sticking the chin out while performing the movement. 2. Place your right hand on the right side of head, and push the head as far as you can to the left, resisting meanwhile with the muscles of the neck. This exercise will develop the sterno-cleido-mastoid muscle and give the neck a square appearance when viewed from the front. Do the same with left hand and push the head to the right. Neither of the two above exercises should be performed less than fifteen counts nor more than twenty-five counts. If the pressure is applied too vigorously, and the muscles become tired in less than fifteen repetitions, there may be a tendency to strain some part of the muscle and cause a very unpleasant kink in the neck. If such a kink is ever experienced, massage the part thoroughly and give the muscle a rest for a few days. Twisting the head from side to side, bending it forward and backward, bending it from right to left, are excellent movements for limbering up the muscles of the neck, before applying the resistance work mentioned. The neck is one part of the body that is very susceptible to exercise, and if the student is desirous of enlarging this part of the body, with the proper application of resistance, there is no reason why he should not be able to gain an inch or more around the neck in thirty days. The wrestler's bridge, as I said before, is also of great benefit for strengthening the neck in general. This exercise consists of resting your entire weight on the head and feet alone while the back makes an arch. By raising and lowering the hips while in this position, and by walking a few inches towards the head and back again, the neck will experience quite a variation of movements. A few minutes' daily work in this bridging will greatly help the further progress of neck development. I want to emphasize again that the neck presents a very interesting subject to the student of anatomy. The most ungainly looking necks are those lacking in development of the trapezius muscle in the back, causing two hideous cords to run upwards into the hair. This is more prominent in thin people when they bend the heads slightly forward. Such cords can be entirely eliminated with proper application to the back of the neck. You will frequently find individuals with two or three chins, which can easily be removed by proper application of exercise to the front part of the neck. You will also find prominent "Adam's apple," which can be reduced considerably by developing the muscles of the neck. The person who has never exercised the neck does not have a pleasing contour, especially when without a collar, or when in a bathing or gymnasium costume. Instead of having well-formed, straight, pleasing contour to the muscles, the sterno-cleido-mastoid, and the trapezius seem to grow inward at the bottom of the neck, causing the neck to have a smaller appearance at he bottom than at the top, when on the contrary the neck should be larger at the bottom than at the top. Professional wrestler's necks, although oftentimes over-developed, have excellent contour, and no matter which way their heads are turned, or carried, they present a pleasing appearance. Yet anyone can obtain the same contour in the neck which professional wrestlers have, without the over-development which gives the bull-like appearance. A well-developed neck means an increased blood supply to the brain. This gives the owner a clearer thinking capacity, owning to the enlargement of the veins and arteries inside of the neck. All neck exercises, as I said before, should be performed from fifteen to twenty-five counts. Any work that is more vigorous and tires the muscles with a less number of repetitions than this, will be apt to strain the ligaments and muscles, so that painful results might follow. You must not force the development of the neck as vigorously as you would the arms. Such strenuous measures, however, are unnecessary; for, as I have previously stated, the neck responds rapidly to properly applied activity. At about the twentieth count, the amount of resistance to the neck should cause the muscles to begin to ache, so that by the twenty-fifth repetition, the aching point should cause the student to naturally discontinue. I wish to make it very clear that I consider the development of the neck of very great importance. So do not get the idea into your head that you should or specialize in the development of your arms, shoulders, and chest. In all my work I aim at a perfect, symmetrical development, and, in my opinion, there is nothing of greater importance in physical development than the development of the muscles of your neck.